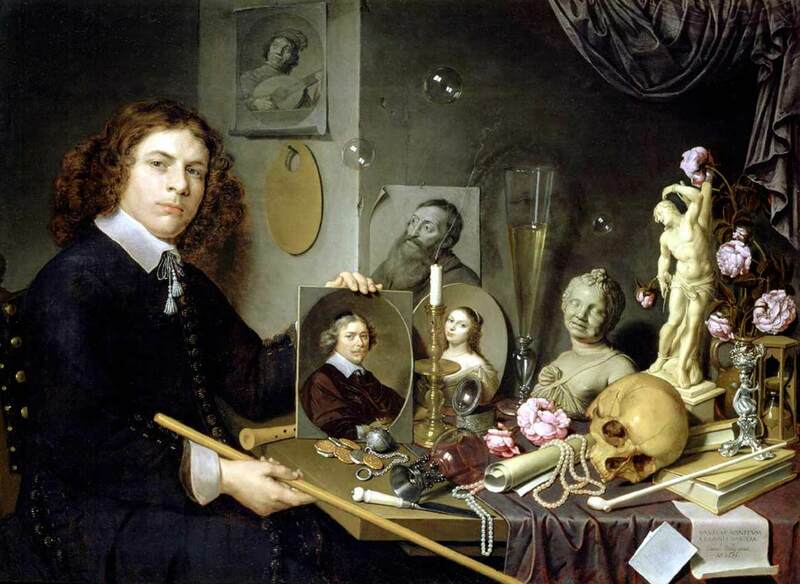 We can all agree that this Vanitas with portrait of a young painter (ca 1651) represents the artist holding a portrait of himself. Yet what David Bailly (1584-1657) exactly meant as he set about portraying his younger self in the act of subverting the laws of space and time by the mere act of holding a portrait of himself at the age of 67, i.e. the age of the actual real-life David Bailly at the time he produced the painting (the real one and the fictional one in it) — well, that I leave to you.